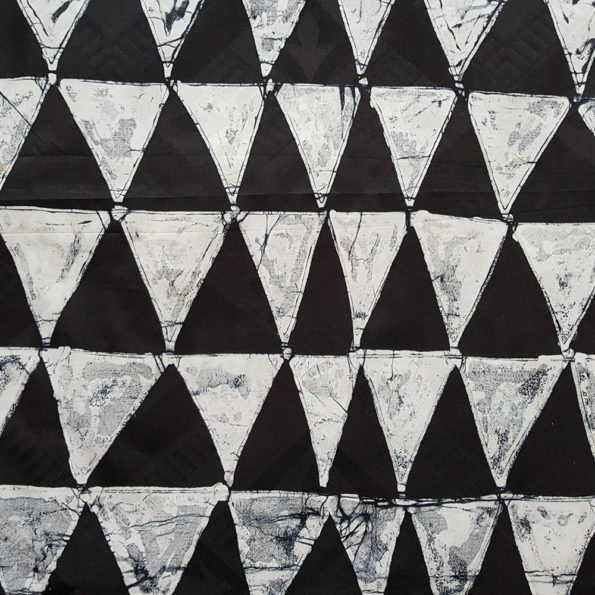 A modern geometric design batik fabric from Nigeria. 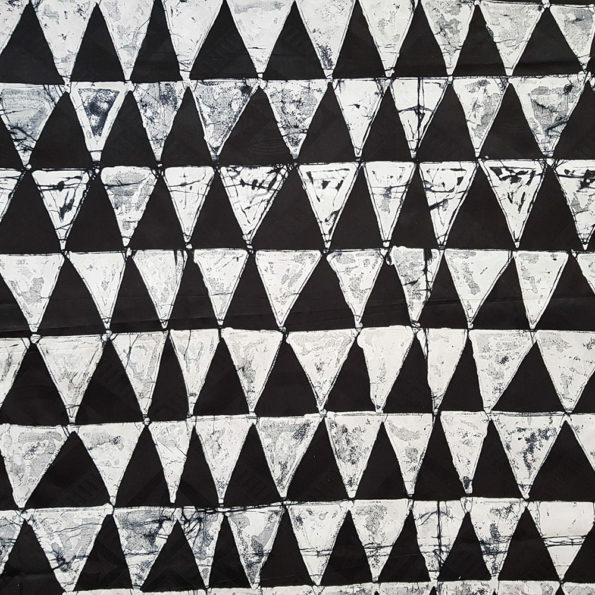 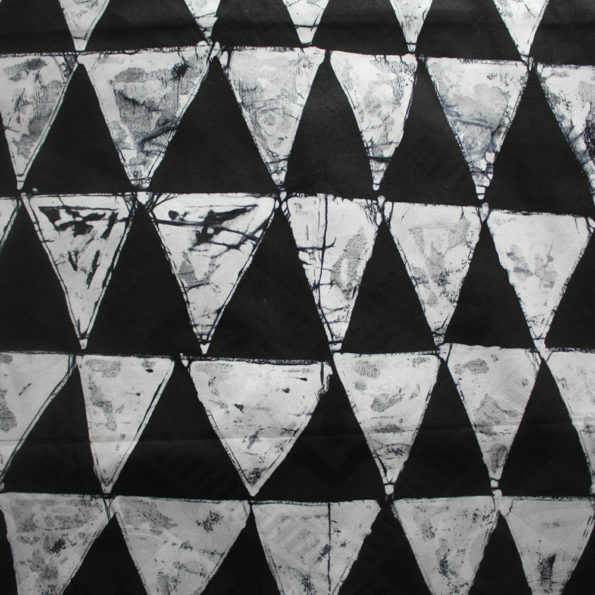 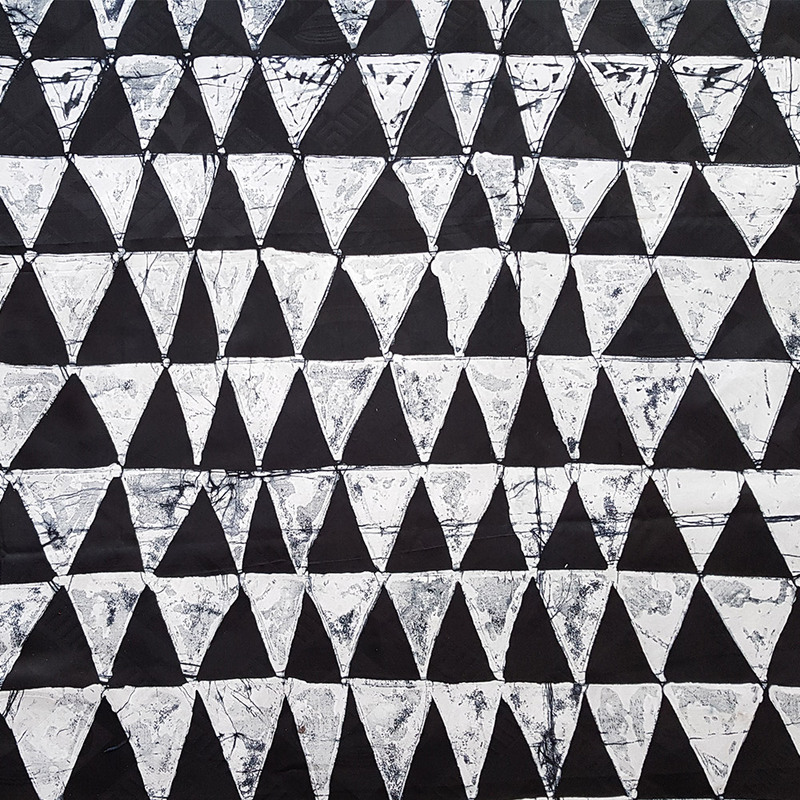 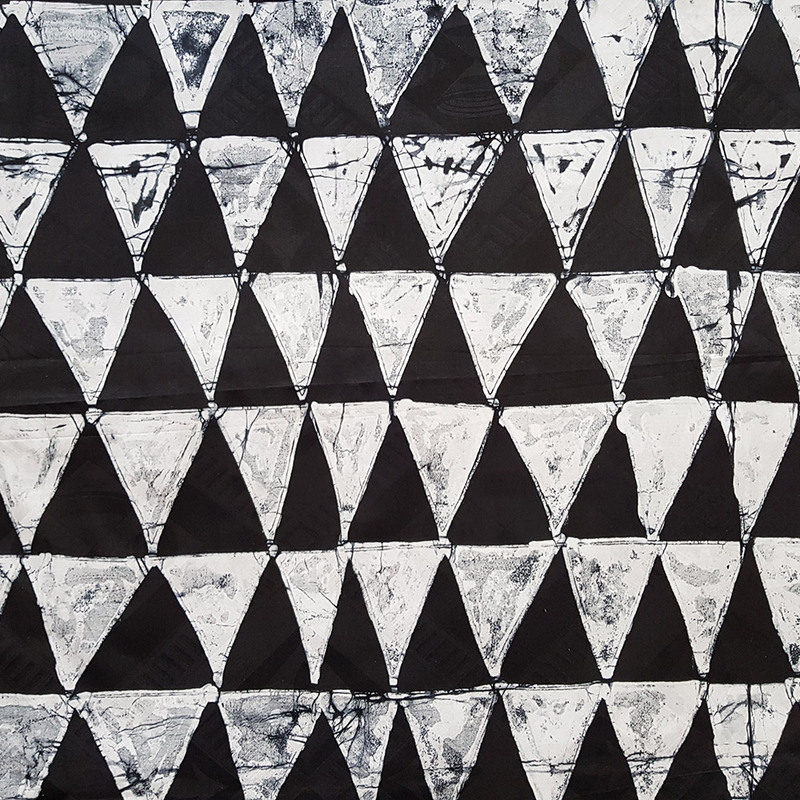 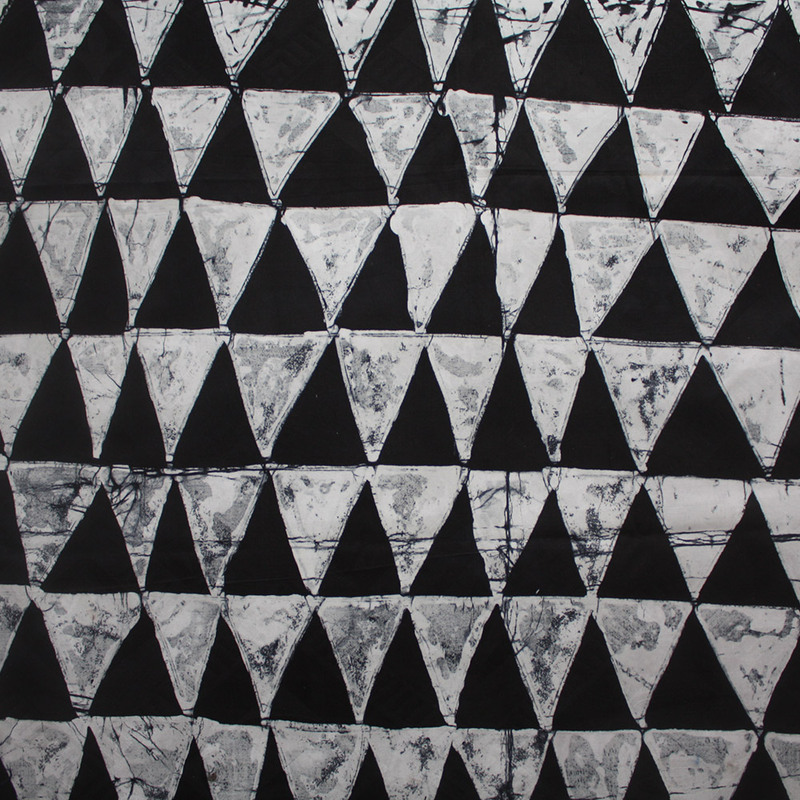 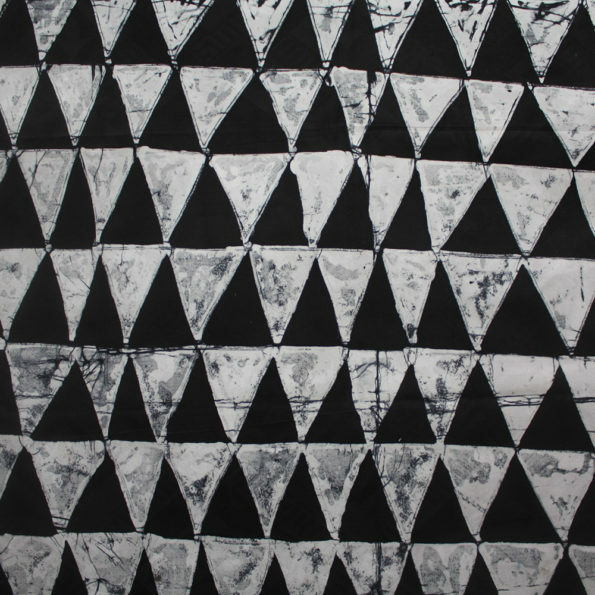 A simple but bold design consisting of large triangles in black and white that run along the length of the fabric. 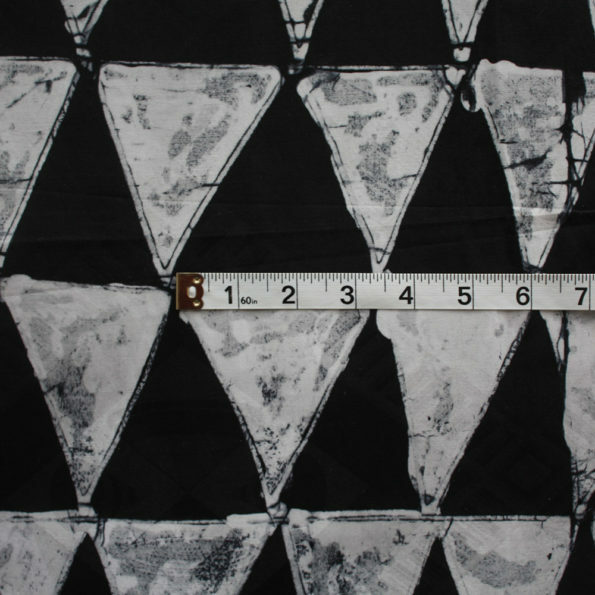 The last image above shows a tape measure (in inches) to give you a better idea of the scale of the patterns on the fabric. KINDLY NOTE: We photograph the fabric in natural daylight and make every effort to represent the colours as accurately as possible, nevertheless colours may display differently depending on the monitors/screens they are viewed on. Also, if you have purchased this fabric before, it will not be exactly the same as the one shown. 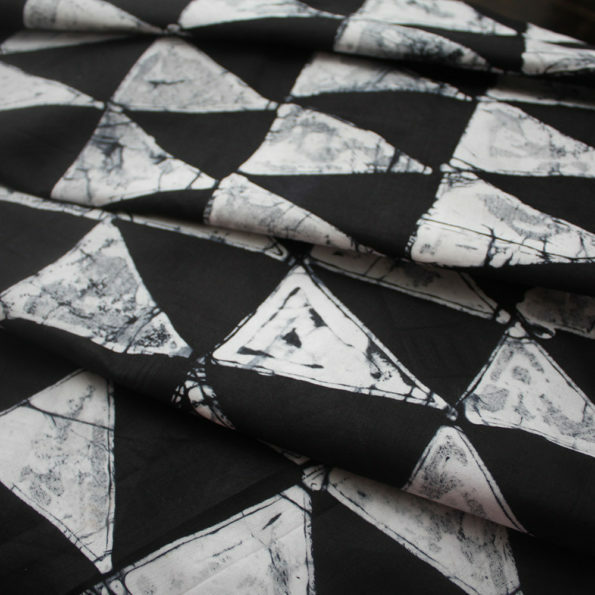 Due to the unpredictable and organic nature of the dyeing process of batik, the outcome often varies.